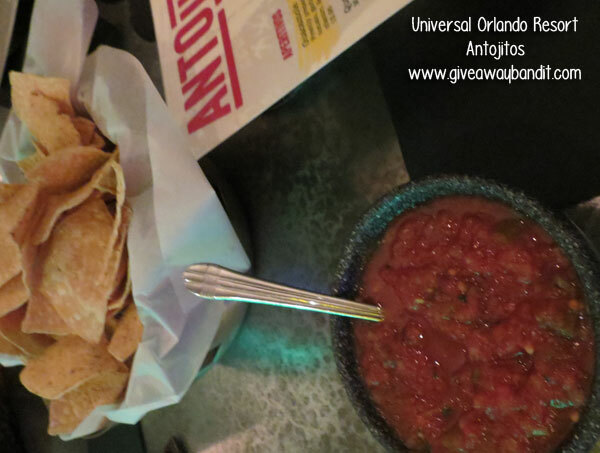 During our visit to Universal Studios Resort, and a fun-filled day at their theme parks Universal Studios Florida and Universal’s Islands of Adventures, we decided to head south of the border and enjoyed supper at CityWalk’s venue, Antojitos Authenitic Mexican Food Restaurant. The meal was free, courtesy of Universal, in exchange for a review but all opinions are 100% honest and our own. Antojitos Mexican Restaurant offers only the freshest ingredients and their food is marinated, roasted or grilled to the utmost perfection. Once we walked into Antojitos we felt like we had stepped through the door to Mexico. The colorful decor, live band and authentic bar menu made it just that much more incredible. After we arrived to our table, we were quickly greeted by the manager Calvin and our server Will. Will was fabulous! He was extremely knowledgeable about the menu, restaurant and an overall joy to be around. The service was outstanding. After we were given our drinks, chips and salsa (btw, the salsa was so delicious) the restaurant chef, Hector Valencia, greeted us at the table and let us know he had prepared special appetizers and desserts for us to enjoy. We ordered our choice of entree from the menu. The appetizer Chef Valencia prepared for us was a rolled chicken or “enrollado de pollo.” It was such a special treat since it is not even available on the menu yet. It consisted of a delicately wrapped chicken breast stuffed with fresh corn, wild mushrooms and a bite of jalepeno. 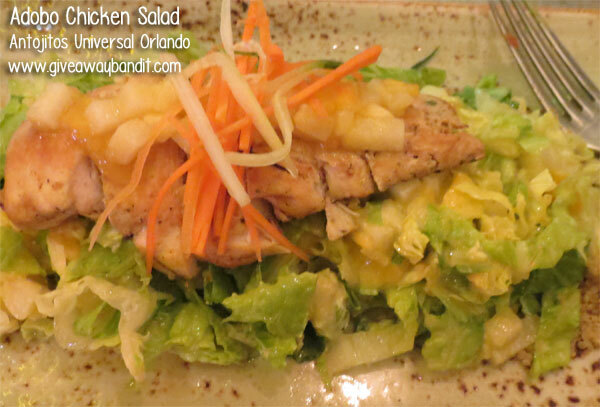 The chicken was paired with curves of Mexican Hass avocado, a crisp lettuce, carrot slaw and a mango slaw. Oh my gosh, it was beyond delicious! My favorite part of the appetizer was the mango slaw but every bit of it was delicious! 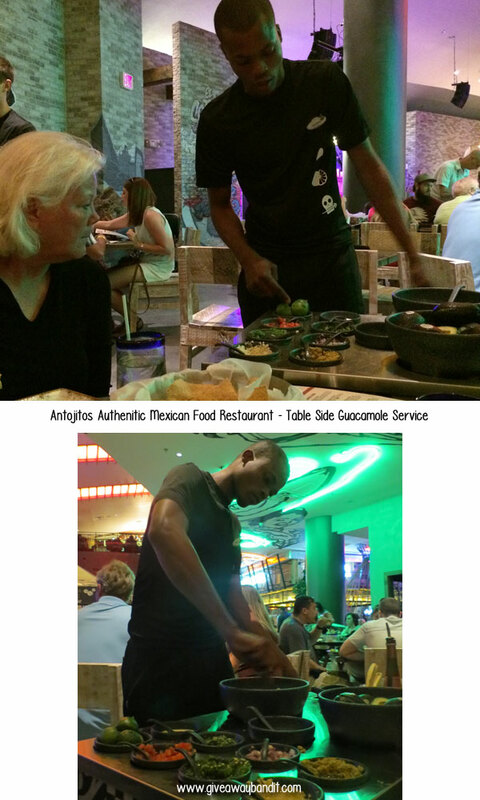 While we waited for our food, a young man arrived street cart style table side with fresh guacamole made to order. 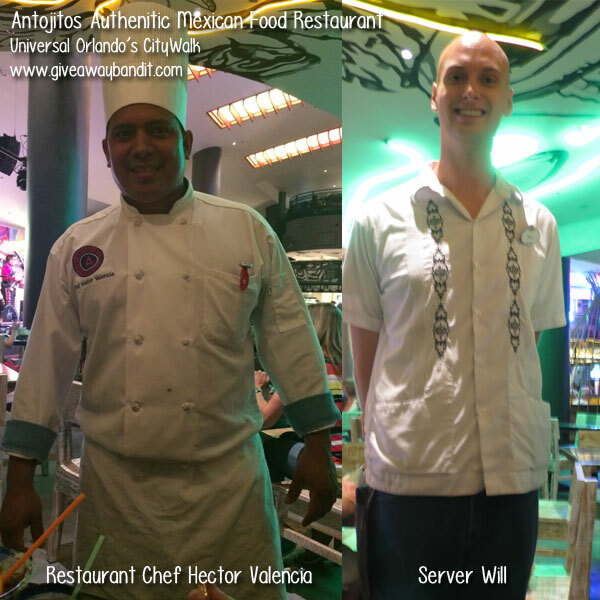 We selected from a variety of the freshest ingredients and he created our own guacamole right in front of our eyes. It was beyond delicious and I loved this addition to the restaurant! Check out the instagram video below of him preparing our fresh guacamole! Oh, be sure you are following us on instagram. 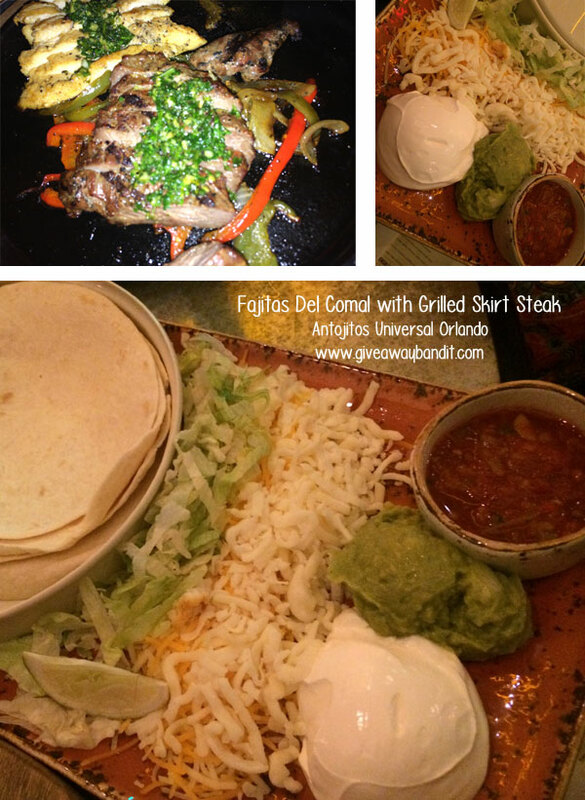 I ordered the Fajitas Del Comal with Grilled Skirt Steak. The skirt steak was marinated in ancho chimichurri with sauteed peppers and onions. The fajitas were served with fresh flour tortillas, pico de gallo, shredded cheese, lettuce, sour cream and guacamole. My son ordered the kids chicken quesadillas. He received fries and a delicious side of grapes with it. 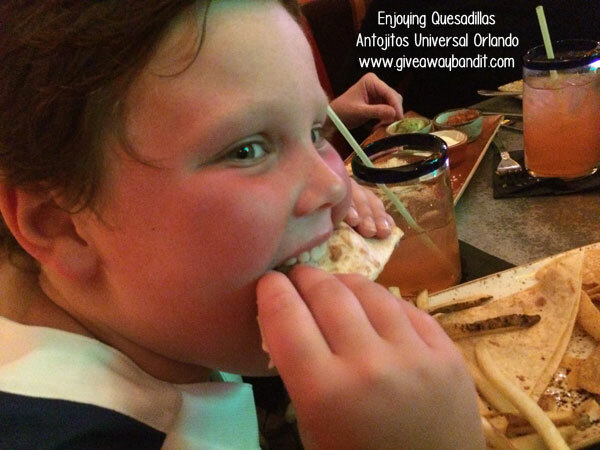 He had never tried quesadillas before. He absolutely LOVED them! My brother ordered the Quesadillas Caseras with adobo chicken. They were grilled flour tortillas with fire roasted poblanos, menonita and cheddar cheese. My Aunt tried the Combinación Maya which consisted of pork tamale topped with beef machaca, enchilada verde, and carne molida taco. It was served with house rice and black beans. My mom ordered the Adobo Chicken Salad which consisted of Adobo chicken, avocados, romains hearts, mango, jicama, with cilantro dressing. She said it was absolutely delicious. We were even given a sampler of desserts that were heavenly. Pictures of the desserts are included in the album below! We were all so impressed with the food and atmosphere. A live band even played while we enjoyed our meals. Enjoy a moment of the band below and then check out our album of more pictures! We created a little video below with us walking to Antojitos and during our restaurant visit. Enjoy! 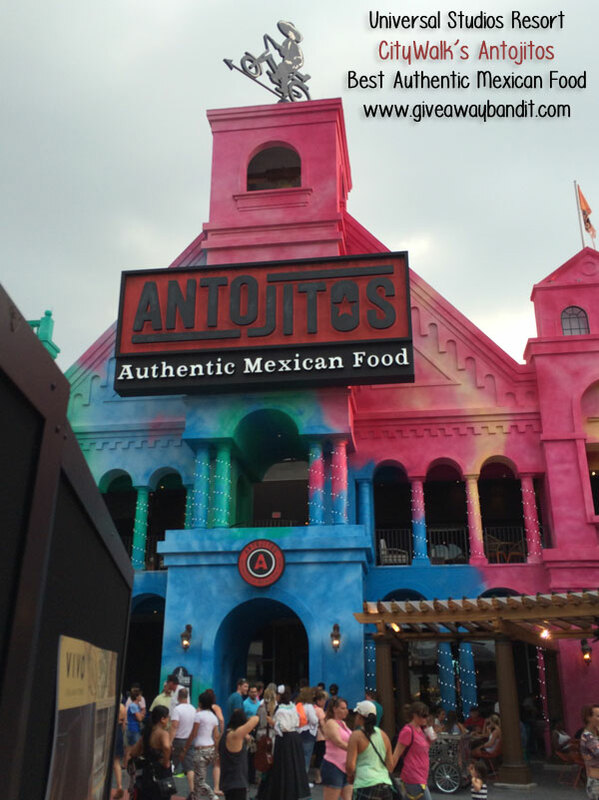 We give Antojitos FIVE moustaches! If you are ever in Orlando you absolutely must check out Universal Orlando’s CityWalk venue. It is amazing! The flavors are sensational! Plus, you do not have to pay to enter one of the theme parks to enjoy it! The venue is right before the entrance into the theme parks. It came alive at night and I am assuming a hit among locals to enjoy a date night with dinner and a movie or live show. Oh my, the food and entertainment looks so amazing. 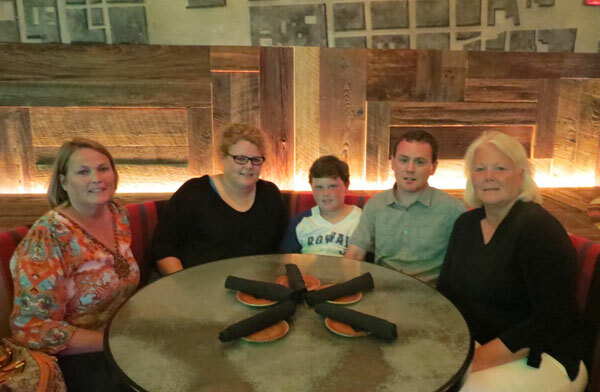 Someday I hope to go back to Florida and then I will be able to try out this wonderful restaurant with my family.